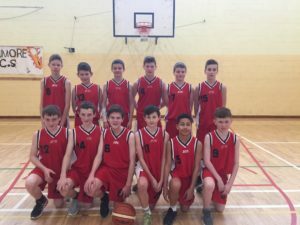 Well done to our First boys basketball team who defeated Celbridge today in the Pre-lim. They now travel with their coach Ms Grehan to Navan to play in the All Ireland Play-offs. 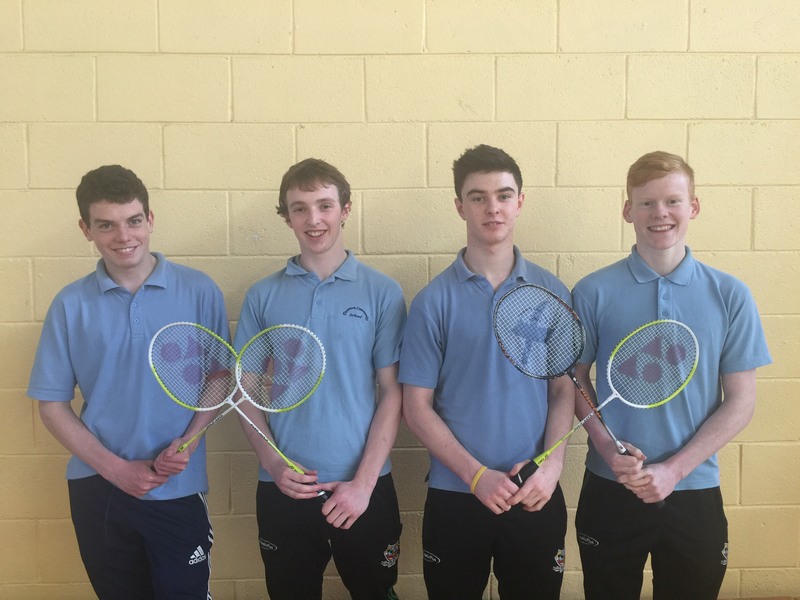 They will play St Pat’s Navan, Abbey Boyle & Drimnagh for a place in the All Ireland’s. 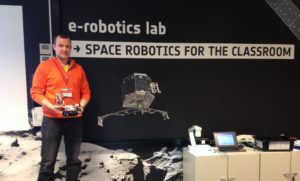 Well done to Mr. Fleming who was 1 of 20 STEM teachers from across Europe who were chosen to attend a Space Robotics workshop in Redu, Belgium. 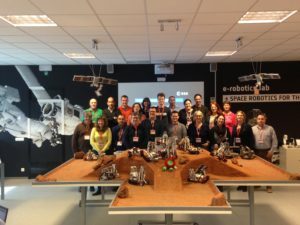 The workshop was hosted by the European Space Agency ESA. Well done to all our u16 & u19 teams who represented Dunmore CS in the Connacht Championships. Our u16 team Thomas Kilgarriff, Jamie Bowens, Declan Forde & Darragh Heneghan were narrowly beaten in the U16 final v Strokestown. Our U19 team Cathal Heneghan Conor Finn Thomas Comer & Eanna had a tough challenge in the U19 final but beat Ballyhaunis CS on points to win the final. 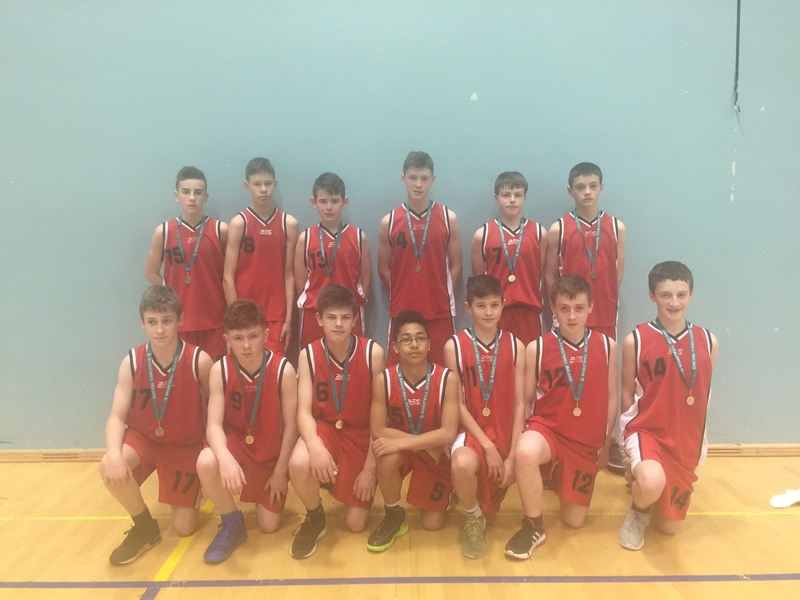 Hard luck to our First Year Boys basketball team who were very unlucky in the final this week. We put in a great performance and were beaten by one point. It was a very exciting finish and we were unlucky not to come out on top. However we will now go forward to the pre-lim stages and hopefully will book a place in the All Ireland play-offs. 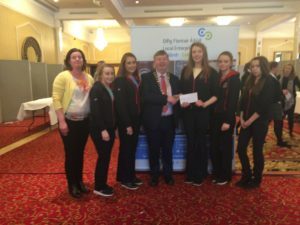 Aoife Sheehy, Emma Turner, Lorna Murphy, Chloe Warde and Meagan Naughton representing Dunmore Community School in The Student Enterprise Programme at the Ardilaun Hotel in Galway. 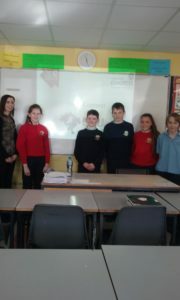 Well done to all TYs and their teacher Ms Fallon on a very successful mini company. 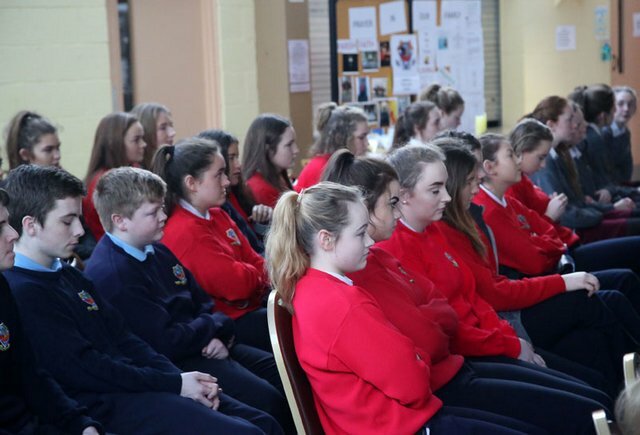 Maria O’Shaughnessy of Youth Connect met with first and third year Business students to discuss the working world. 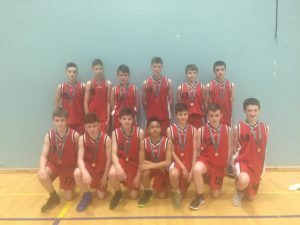 Good luck to our First Year Boys Basketball team who play Claregalway in the West Region Basketball finals on Tues 21st March in the Kingfisher NUIG. 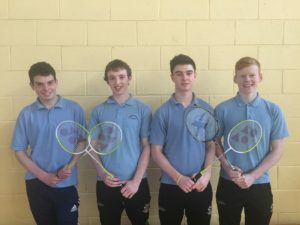 They had a very convincing win against Galway CC this week. Our Second Year team just missed out in a place in the final having finished third in the league. 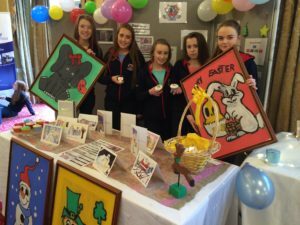 TY Students undertook a project in Dunmore parish recently and exhibited it in Knock last Thursday. 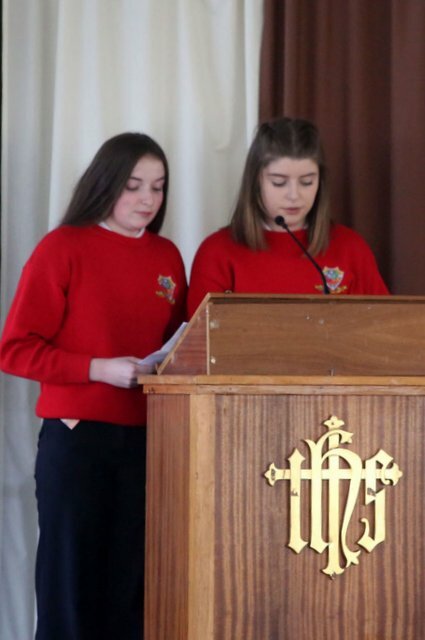 Shauna Ryan and Leah Noone spoke about their project to the large group assembled on the day. 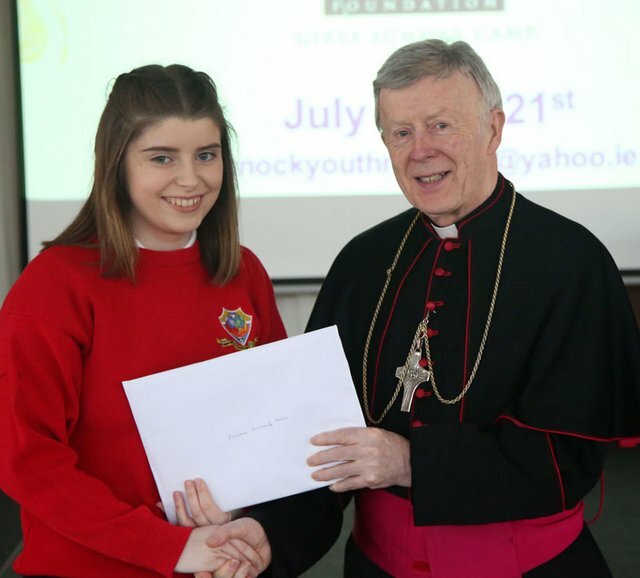 Pictured is Shauna Ryan who received the certificates from Archbishop Michael Neary for the class. 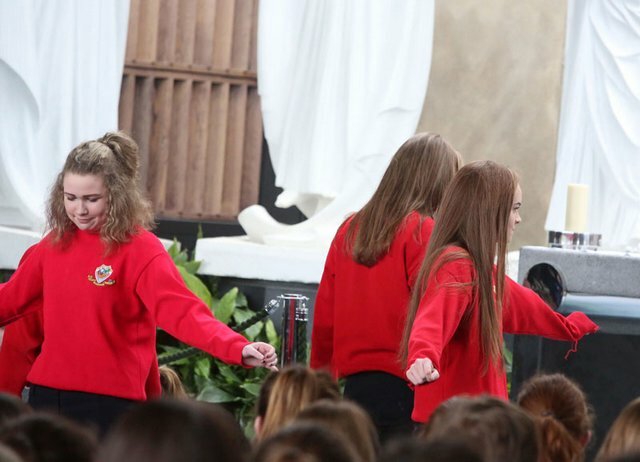 It was a lovely day for all involved and the students enjoyed the presentations from the other schools. 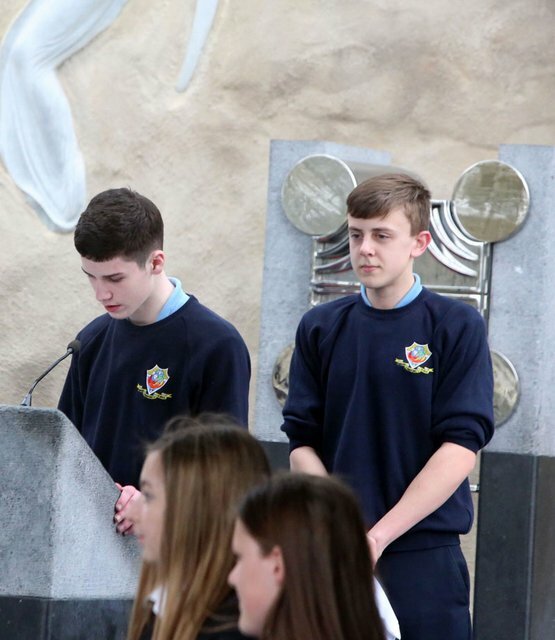 Daniel Millett, Daragh Mannion, Aoife Sheehy, Meagan Naughton , Emer Meehan and Chloe Warde were involved in a prayer service in the Apparition Chapel which concluded a very worthwhile day at Knock. 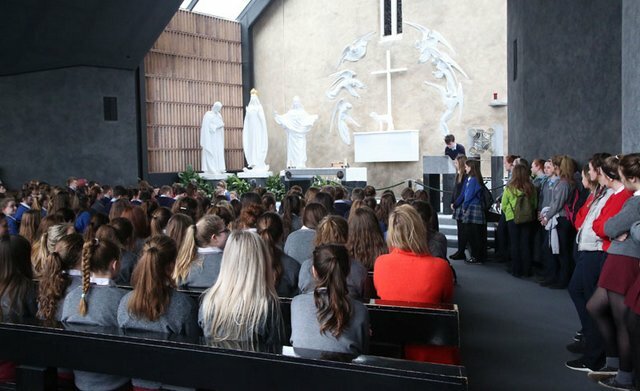 The students along with their teachers were very grateful to Fr Fergal and Sr. Bernardine for all their help and support and to all who helped them in any way.